Coron was right at the top of our list of places to visit in the Philippines, having been highly recommended by many people who had traveled extensively around the country before we did. Lake Kayangan, one of the most famous tourist spots in Coron, Palawan is shown on every poster advertising the region and we couldn’t wait to explore all that the islands in Coron have to offer. When looking at ways of getting to Coron, it is important to make a distinction between the different islands in Coron. Coron is a municipality in the province in Palawan. Busuanga island is the largest of the islands in Coron (although only the eastern part actually belongs to the Coron municipality) and home to Coron town where most tourist accommodation in Coron is located. One of the islands in Coron is also called Coron island (confusing right? 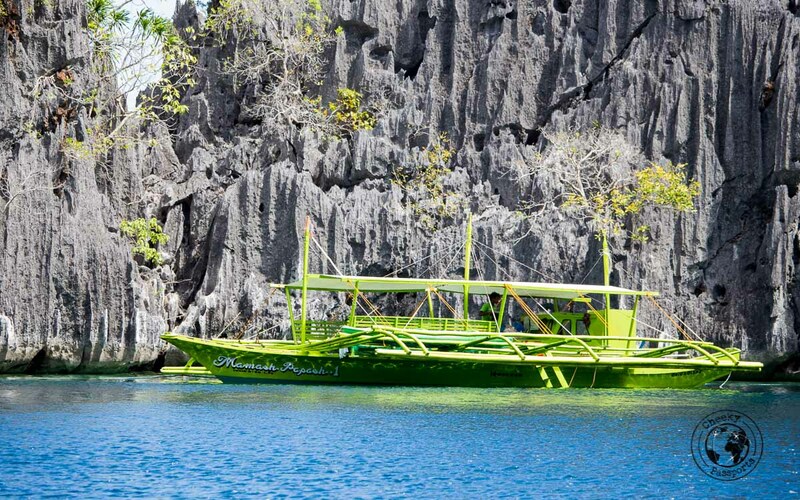 ), home to Lake Kayangan, the most famous of the tourist spots in Coron, Palawan. It can be accessed via a 30 minute boat ride from Busuanga. Coron island is home to the Tagbanwa natives who only allow tourists to access a few areas on it, including Lake Kayangan and Barracuda Lake. You can travel to Coron island from Coron town in Busuanga by boat although many of the organised Coron boat tours (which can be booked all over town) also include the lakes on their itinerary. Island hopping in Coron is one other very popular activity. Hardly surprising since there are so many pristine islands in Coron, many of which are home to spectacular rock formations and clear waters. The beaches in Coron rival those in El Nido and in other Southeast Asian destinations, whilst diving in Coron is very popular among enthusiasts, with many deals and packages being offered by the dive shops in Coron town. Check the latest accommodation prices in Coron on Hostelworld or Booking.com. Much to our disappointment, due to the unfortunate death of two free divers in the lake a couple of weeks before we got there, Lake Kayangan,was closed during the length of our stay in the region. 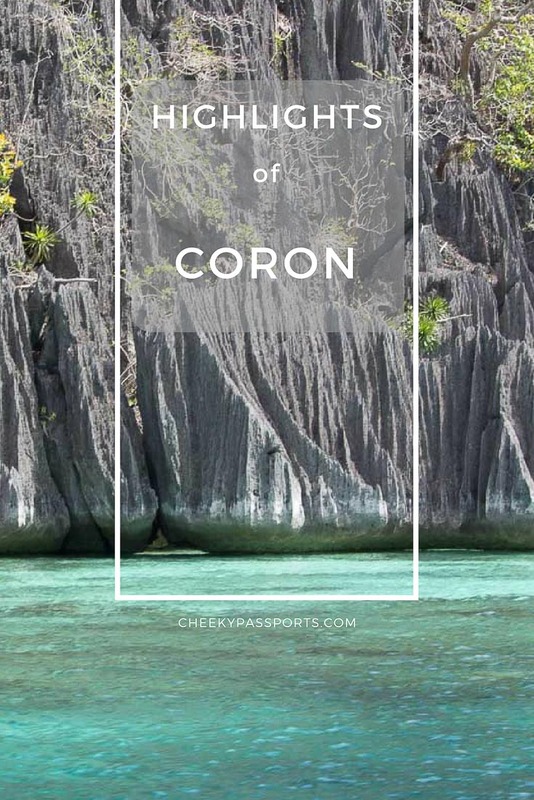 Quite annoying seeing that it is one of the most popular tourist spots in Coron, Palawan and our main reason for visiting the islands in Coron! However, we discovered that Coron is not only about Lake Kayangan. There are plenty of other beautiful spots and attractions around the islands in Coron, which, all in all, made our trip worthwhile. Island hopping in Coron will allow you to access most of the attractions on the pristine islands, and several different types of organised Coron boat tours ensure that you can do this without much logistical effort on your part! The tours can be booked in town, but if you would like book any before your arrival in Coron, you can do so here. 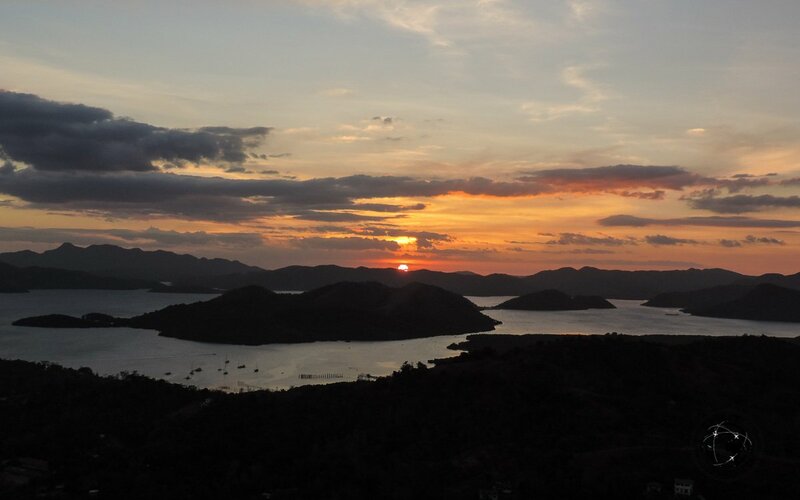 This involves climbing up 725 steps to the second highest point in Coron to view one of the best sunsets in the Philippines. If Nikki can do it, so can you! The long climb up is totally worth the effort, and if you’re traveling on a budget, you be glad to know that it’s a free attraction. It is best to start climbing the steps about an hour before sunset (check time of sunset during your stay), not only so that you have time to have a short break at every 100th step, but also to find a good place from where to watch the spectacle since you will not be alone – remember that this is one of the very popular tourist spots in Coron, Palawan! It is best to also take a torch since it might be pretty dark by the time you go down. Coron town, like El Nido, is packed with agencies offering organised Coron boat tours covering the main sights in the area. The highlight of any tour is usually Lake Kayangan on Coron Island. We booked a tour for island hopping in Coron for our last day in the region hoping that Lake Kayangan would have reopened by the time we went, but no such luck! The stop at Lake Kayangan was replaced by a stop at Barracuda Lake, and the tour included stops at the Twin Lagoon also on Coron island, and stops at other sites and islands in Coron including Skeleton Wreck, CYC beach and Siete Pecados Marine Park. Because of the closure of Lake Kayangan, every sight was unfortunately packed with people, so much so that it felt like being at a theme park most of the time. 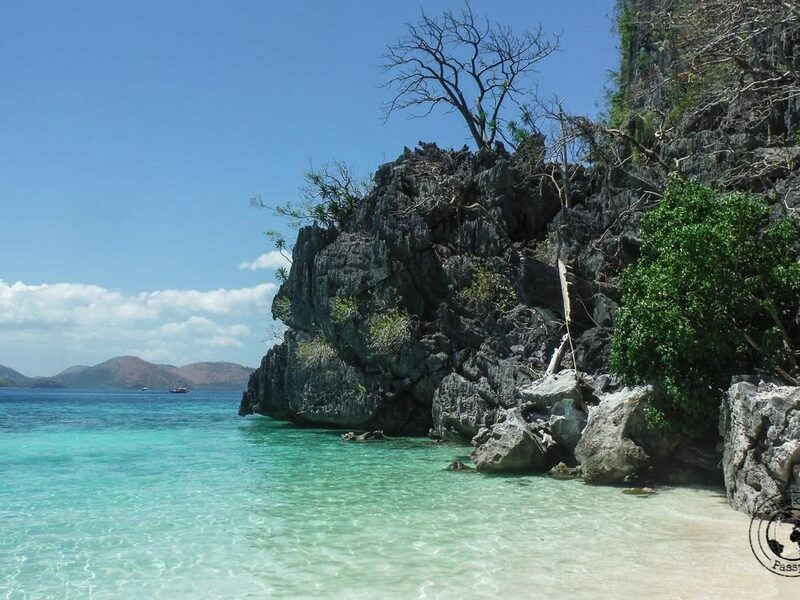 For a detailed list of available tours in Coron, see what our friend Katherine’s solo travel guide to Coron suggests. This over-crowding was unfortunate because the tourist spots in Coron, Palawan are incredibly beautiful and photo-worthy, but with hundreds of people in life vests shouting and screaming, hitting us with their selfie sticks and fins (whilst trying to learn how to swim) added to the equation, the magic disappeared. Our guide on one of the Coron boat tours told us that had Lake Kayangan been open, there would have been far less people at each other spot. Notwithstanding, we totally recommend visits to Barracuda Lake (if you are a good swimmer, be sure to swim out towards the middle of the lake, away from all the people so that you can experience its beauty in silence) and the Twin Lagoons on Coron island. A tour for island hopping in Coron will normally incorporate all the spots on Coron island as well as those at other nearby sites such as Siete Pecados Marine Park and CYC beach. There are several Coron boat tours to choose from and your choice of tour would normally be based on which sites you would like to incorporate. Our tour for Barracuda Lake, the Twin Lagoon, Skeleton Wreck, CYC beach and Siete Pecados Marine Park, cost 1600 PHP (about €26) each (discounted to 1500 PHP) including an excellent lunch and use of a kayak. Life vests are mandatory in Barracuda Lake due to the brackish water. Beware of snakes! Nikki freaked the local guide out when he told him about having swum close to a black and white snake at the water’s edge! Apparently, what we later found out to be a ‘Banded Sea Krait’, is a friendly, yet highly venomous sea snake which kills its prey in eight seconds. A dry bag is highly recommended. Most of your stuff will get wet without it. We bought ours in El Nido but they can be found in Coron town too. Mask (with snorkel) and water shoes during the Coron boat tours are not provided but can be rented out at the pier before departure for 150 PHP each (about €2.50), although they may not be of great quality. If you plan on going on many water-based activities we strongly recommend that you being your own. 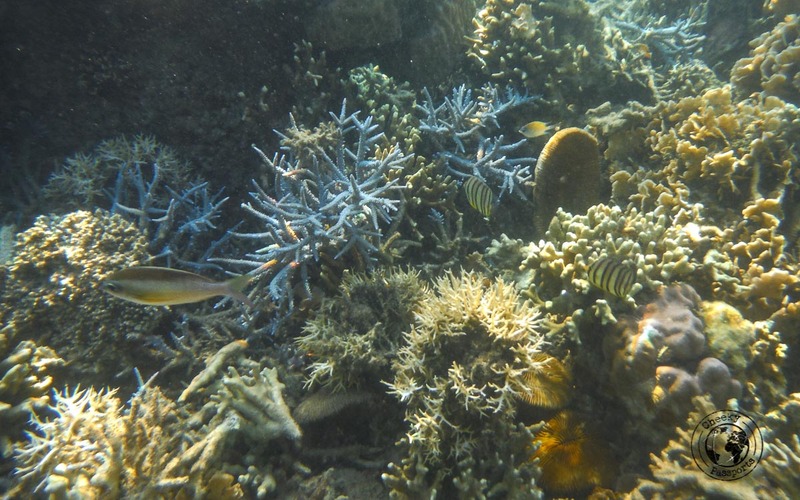 Siete Pecados Marine Park is home to some great underwater coral life and should definitely be on your list of tourist spots in Coron, Palawan! 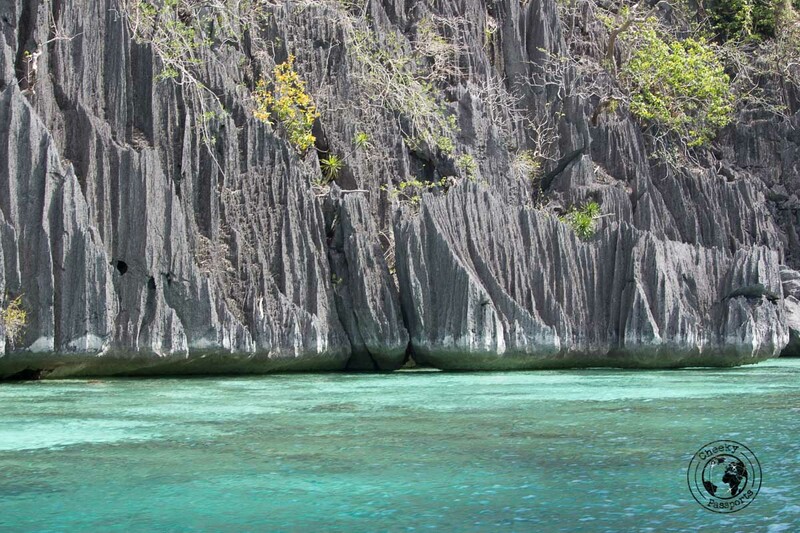 The park can be accessed via different Coron boat tours, many of which include a visit to the marine park on their itineraries among other sites. 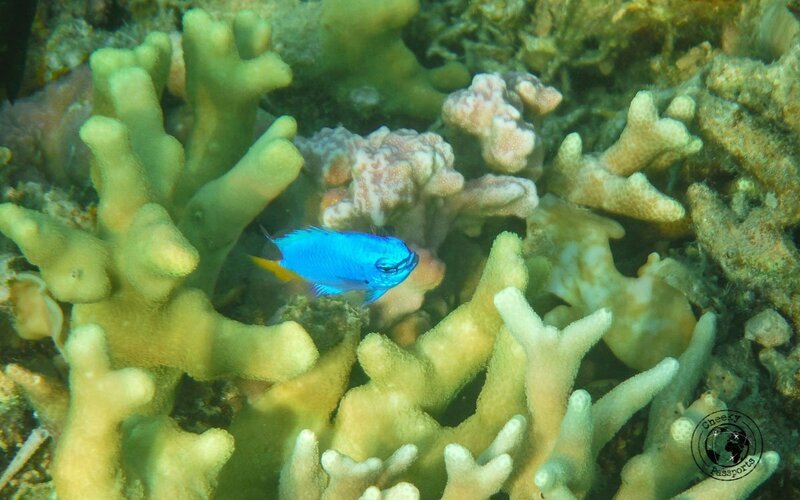 Schools of fish swim among vibrant corals which can even be observed from the boat due to the great water visibility. When you’re island hopping in Coron, remember to take or rent out water shoes since they are mandatory when swimming at some of the sites such as Siete Pecados. 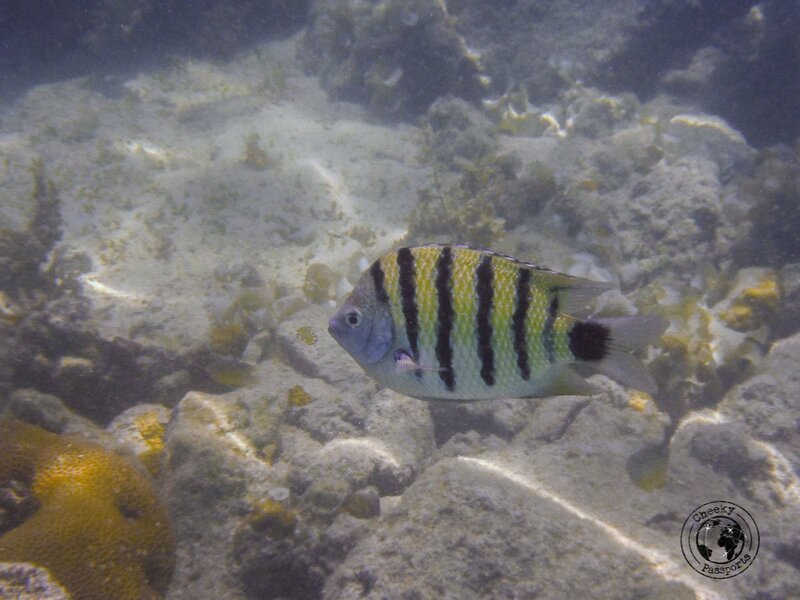 Also be sure to take a decent underwater camera with you! Unfortunately we don’t have great photos of the site due to errors from our older, inferior camera. The little CYC beach is a cute little spot and is often included on the itinerary for many of the Coron boat tours. Although not one of the major tourist spots in Coron, Palawan, this little beach is very close to Coron island and worth a little stop. The beach is home to white sands and clear waters and is a good place if you want to indulge in a little sun-worshipping. Although we don’t feel that CYC is one of the best beaches in Coron, it is rather picturesque, and popular with families. Water shoes are advised since some parts may be rocky! The picturesque white sands and crystal-clear waters of Malcapuya island are sure to leave you awed! Malcapuya is home to one of the best beaches in Coron and because the area is once of the most popular tourist spots in Coron, Palawan, it can get a little crowded. You can easily spend your time lying in the sand or snorkelling around the clear waters whilst sipping on fresh coconut water sold by locals. Do not miss this spot whilst island hopping in Coron! This tiny island is famous for its wonderful sand bar and clear water making it one of the best beaches in Coron. One side is a little rocky whilst the other is lined with powdery white sand, and a little pathway allows you to climb up to the top from where you can get some great shots of Bulog Dos and the sandbar! Do not miss one of the most scenic islands in Coron! 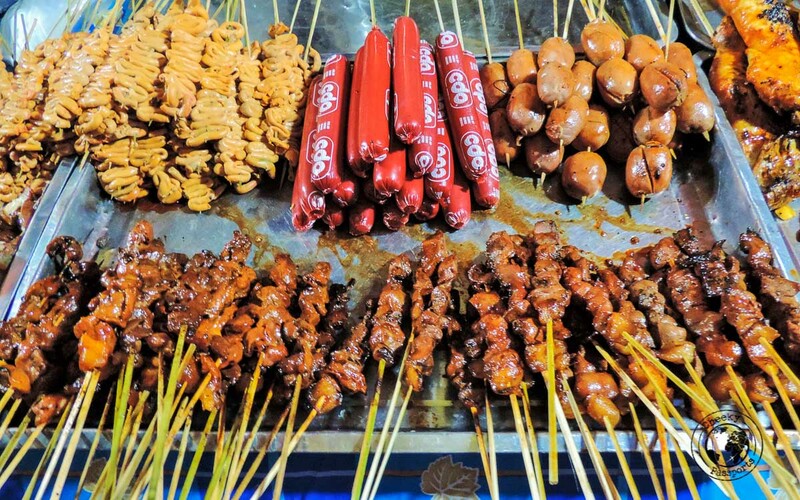 Not quite a tourist spot but the street food in Coron town is worth trying out if you’re an adventurous eater! Fancy some chicken intestines, gizzards or blood pudding? Little BBQs serving grilled innards on kebab sticks can be found at every street corner of Coron town. Most skewars cost as little as 10 PHP (about €0.15) so trying them out is very affordable! Some of the skewars contain large pieces of chicken. If you are tempted to try them, be sure that they have been cooked right through. It is not uncommon to find the middle parts still oozing blood. 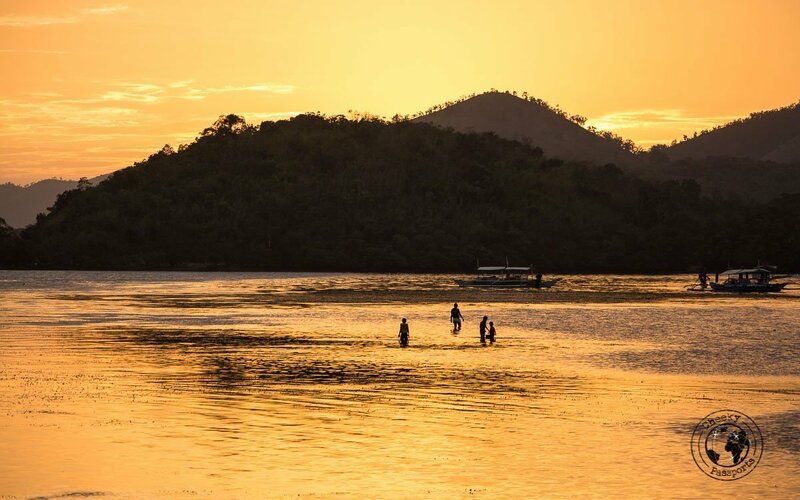 The saltwater hot springs, surrounded by mangroves, are located 30 minutes (by trike) away from Coron town and provide a relaxing experience especially if you visit after having climbed Mt. Tapyas, or spent your day snorkelling or diving around the islands in Coron. The hot springs are open until 10pm and the entrance fee is 200 PHP (about €3). A tricycle roundtrip from Coron town should set you back 300 PHP (about €5). Put the hot springs on your list of tourist spots in Coron, Palawan for a soothing experience! Wrecks, reefs, corals and an abundance of fish species make diving in Coron one of the best experiences to be had in the Philippines. Coron is possibly one of the best wreck diving sites in all of Asia with many sunken war ships located in Coron Bay and the surrounding area, making this one of the best tourist spots in Coron, Palawan if you’re a diver! Although Nikki had planned to dive, he was slightly ill throughout our stay and had to forgo the experience, much to his disappointment. Because of this, we cannot recommend any particular school or site for diving in Coron, but, if you are a diver, be sure to set aside some time for the activity during your time in Coron! Calauit island is located on the western part of Busuanga, and access to the park is via a long bumpy ride from Coron town and a 10 minute boat ride to Calauit. You can observe giraffes and zebras here but it doesn’t really compare to a safari-type of tour. It’s an interesting change from island hopping in Coron! Busuanga is home to a little airport, 45 minutes mini-van ride from Coron town. It is easy to get from Manila to Coron via direct flight to Busuanga airport. Check the latest flight prices with Kiwi or Nusatrip! Getting to Coron from Puerto Princesa involves either taking a bus from Puerto Princesa to El Nido and following the directions for El Nido to Coron below, or taking a ferry directly from Puerto Princesa to Coron. The ferry ride from Puerto Princesa to Coron is about 15 hours long. Check the latest prices for both busses and ferries on 12Go Asia. We commuted from El Nido to Coron via the Coron ferry. There are two types of boat running the El Nido to Coron route. The Montenegro fastboat (fast Coron ferry) costs 1760 PHP (about €28) each way and is easily the most convenient option. The slower Coron ferry is a few hundred pesos cheaper including lunch, but takes almost twice the time to get there; the safety record isn’t brilliant either and using this can be risky in rough seas. 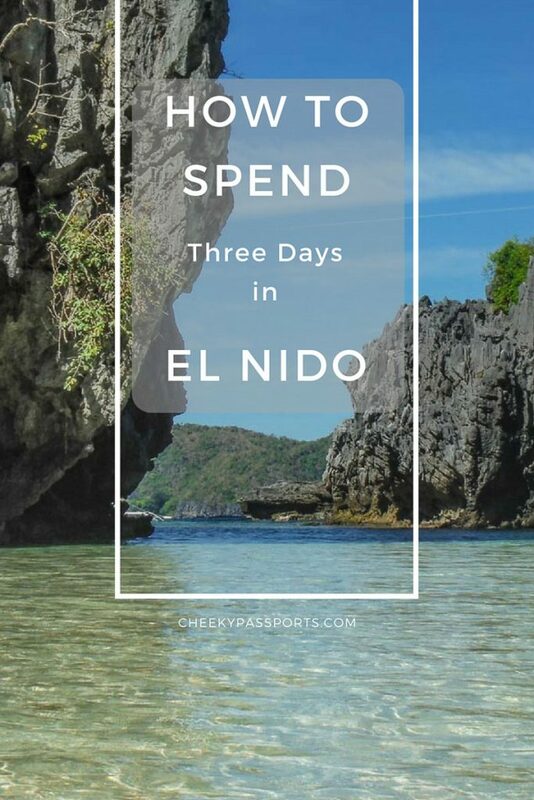 Tickets for the El Nido to Coron ferry can be booked from the Art café in El Nido. Besides the Coron ferry, there’s also a cheaper passenger cargo ship commuting from El Nido to Coron which costs 1000 PHP (about €16) for a non-aircon seat and 1150 PHP (about €18.50) for an aircon seat, which leaves once a week with a journey time of 8 hours so we didn’t consider this option for getting to Coron at all. It was difficult to find budget accommodation in Coron when we started looking, about a week before our trip was due, since most places seemed to be fully booked. We finally managed to secure a room with a private bathroom at Krystal Lodge for 800 PHP (about €13)/night, right in the heart of Coron town. 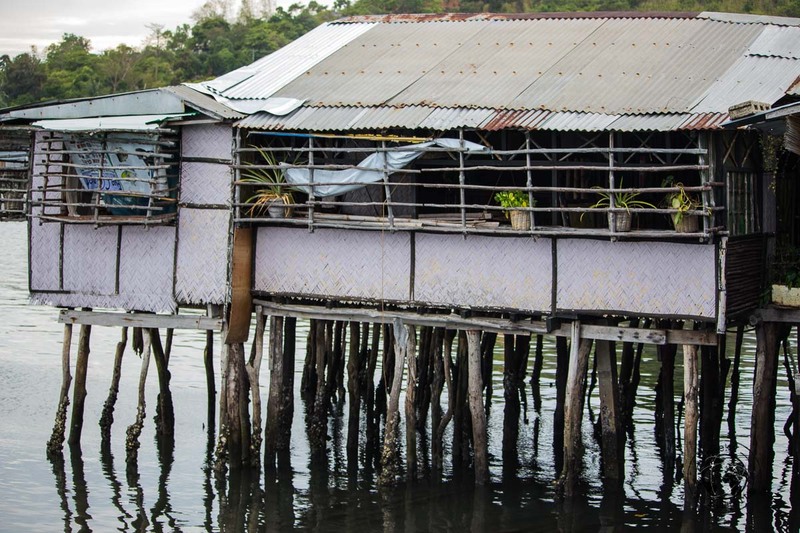 Krystal Lodge consists of a number of bamboo cottages set on stilts, perched above the water among the mangroves. The property was one of many which was severely hit by the typhoon a few years back, and is still recovering from it. Our room in particular was slightly tilted, which was a little disorienting until we got used to it. It actually felt like it was sinking, at least from one side. Hammocks and tables were found outside our room making it a great place to relax and chill as we got some work done. Krystal and her team are extremely welcoming and were ready to help us out with any issues and queries including recommendations for tours and places to visit, and the sunsets from the cottages are awesome! Check the latest deals for accommodation in Coron on Hostelworld or Booking.com. 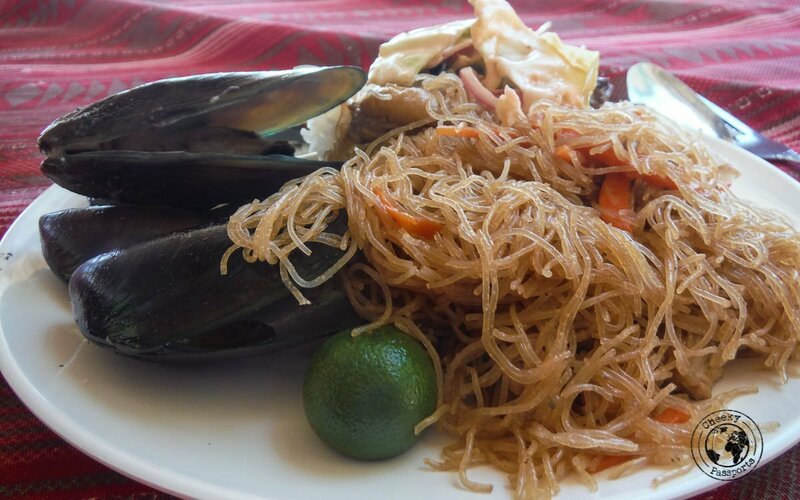 During our time in Coron we ate at a variety of local eateries (called carinderias), sampled some weird looking street fare, and also tried the food at KT’s Sinugba Sa Balay restaurant which we highly recommend. Carinderias usually have 5-6 dishes available most of which contain pork or pork innards. You choose whichever one (or all) of these you like, after which small portions of the dishes are served to you with rice. This is definitely the most affordable way of dining in the Philippines and the food is usually rather tasty and rarely costs more than 100-150 PHP (€1.50 – €2.50)! With so many things to do around the islands in Coron, and great island hopping and snorkelling experiences, it is little wonder that the area is one of the most popular in all of the Philippines! 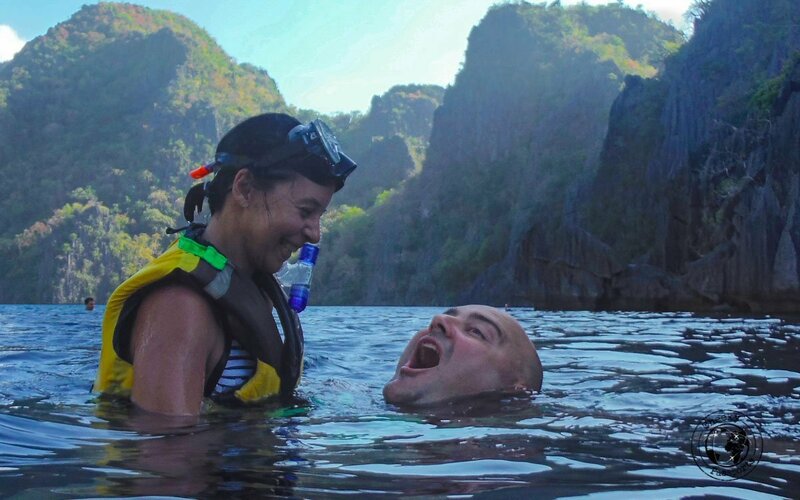 Additionally, the diving in Coron makes it attractive to those who appreciate the underwater depths and attractions. Be sure to include the islands of Coron on your Philippines itinerary! hi. thanks 4 sharing ur palawan trip. how’s d montenegro fast boat trip from el nido to coron? we r considering taking that fastcraft from coron that arrives in el nido in 4 hours. hope it isn’t really sickening as i’ve never been on one before. i guess it depends on the weather. we’ll be staying in coron town … Did u happen to see the jeepneys and buses that ply the coron-busuanga route? we’d like to do a day trip to d’pearl bay busuanga (al faro cosmio resort). I heard a van can be hired but we r traveling on a budget and would opt for the buses or jeepneys. The fastboat was ok. Some people were a bit sickish but the water was quite rough. 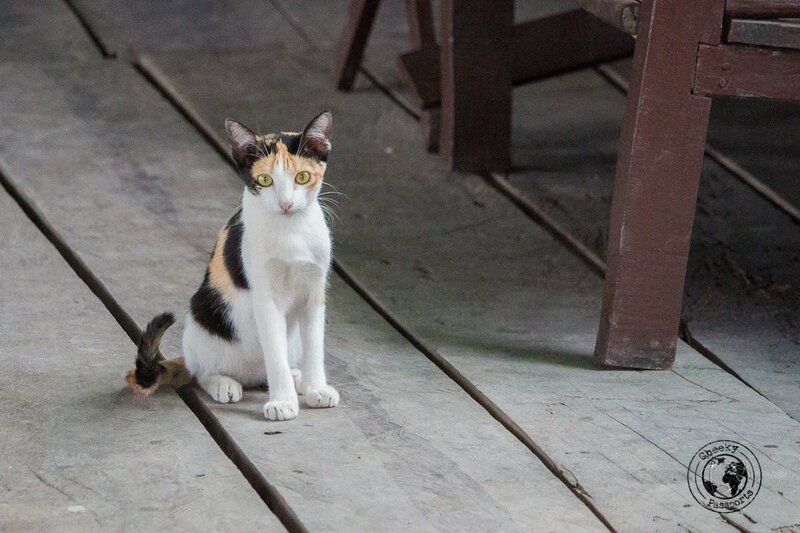 We heard that the slowboat that day felt a lot worse! Most people get around on motorbikes so maybe that’s an option you could consider. We didn’t really see any buses and jeepneys usually don’t go that far, though you could try asking. However when we asked about the best way to explore busuanga, we were told that hiring a motorbike would be best. wow, this is such a detailed article on what looks like an absolute dream of a destination! I keep coming across this region of the Philippines as a go-to destination, especially for diving wrecks such as the Tangat Wreck. the Maquinit Hot Springs really look like an interesting addition to my trip, I’m definitely looking forward to visiting this little corner of paradise!